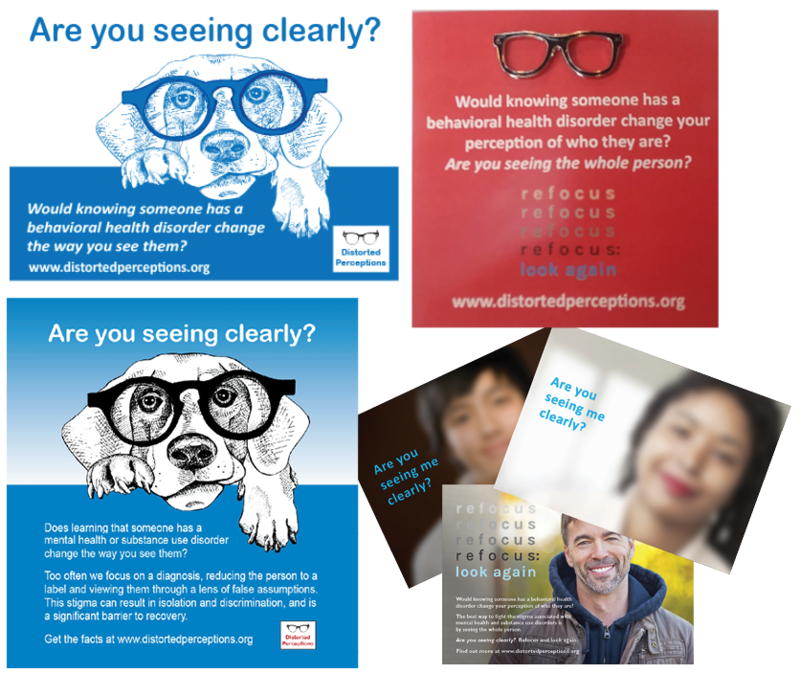 Distorted Perceptions is a public education campaign created by The Anti-Stigma Project designed to challenge misconceptions and assumptions associated with mental illness and addictions. Our goal is to foster change through awareness and dialogue about the real and damaging impact of stigma. Our unique campaign materials have sparked conversations in doctor's offices, libraries, coffee shops, and among family and friends. Click on any item below for ordering information. 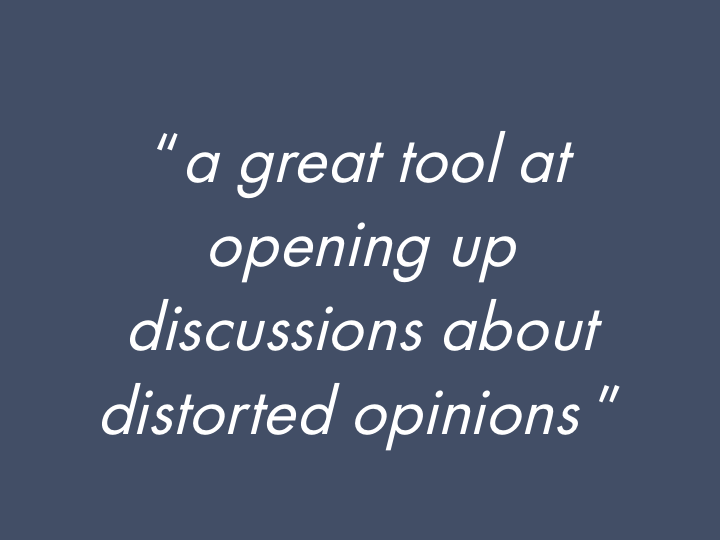 Start a conversation in your community!